Cork Stoves And Fires Ltd. proves clients with robust outdoor stoves. Designed by one of Jøtul’s most talented and longest-serving designers, the Jøtul Terrazza’s unique design and double-sided fuel area is perfect for patios and gardens. 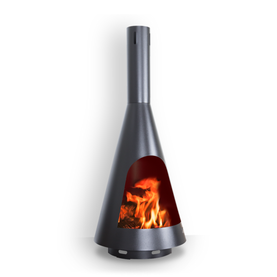 As beautiful as it is functional, the Jøtul Terrazza is made from durable steel. Its sleek angled surface gives the stove a striking aesthetic and immediately establishes the Jøtul Terrazza as an elegant open-air centrepiece. This elegant and contemporary patio stove adds an element of sophistication to any outdoor area. Made from a robust steel, that is engineered to rust naturally, the Jøtul Froya brings an earthy, modern aesthetic to patios and gardens. For more information on our range of stove and fire accessories, call into our welcoming showroom today. 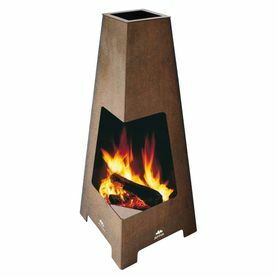 For additional information on our range of fire and stove accessories, get in contact with Cork Stoves And Fires Ltd. today.